Or you could go to my [ Bandcamp ] Page and buy some music. Thanks for your support. Please check the [ NEWS ] for updates. 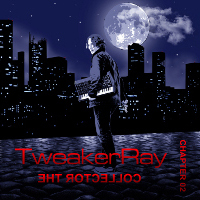 Download TweakerRay's FREE [ MUSIC ] and a lot of his [ REMIXES ]. The Collector Chapter 02 can be purchased in different Formats: Limited Edition CDs / Deluxe MP3 Version and more. Check the [ STORE ] to find the best option. Take a look at the official [ DISCOGRAPHY ]. Get Some [ IMPRESSIONS ] of his studio and [ EQUIPMENT ]. 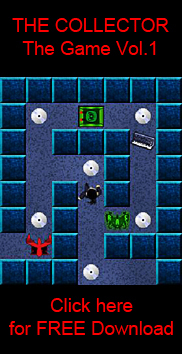 Get the [ FREE Videogame The Collector (PC only) ]. More Music also at the [ Bandcamp ] page. Or read what the hell this is all [ ABOUT ].